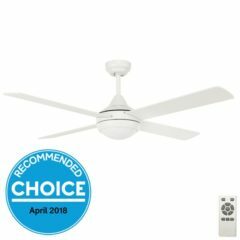 Eco Silent DC Ceiling Fan with Remote by Fanco - White 42"
The Eco Silent DC is an energy efficient fan with a 30W DC motor which is combined with a simplistic, popular and modern design. It has four timber blades and remains quiet when operating as a result of its brushless, DC motor. A 5 speed remote control is included which has an additional timer function if needed allowing you to choose from the settings available including 1 hour, 4 hours or 8 hours. The remote requires no additional setup; once the fan is fully installed it is ready to use. 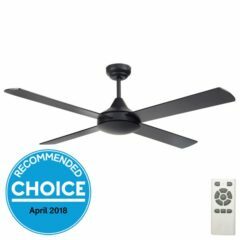 The Eco Silent is reversible for summer and winter use. 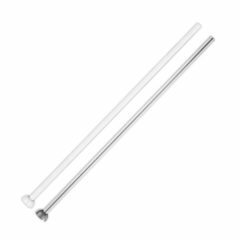 A model with LED light is available – please see alternative listings. Perfectly balanced too, no wobble at all. Good value, and very prompt service.